News from LMCU: $25,000 Home Makeover Giveaway coming March 2! $25,000 Home Makeover Giveaway coming March 2! Are you feeling lucky? The LMCU $25,000 Home Makeover Giveaway is back! Starting March 2, you can enter at LMCU.org, any branch or through our Facebook page. 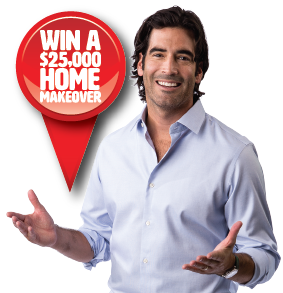 Enter for your shot at a $25,000 cash prize, plus design advice from home improvement TV host Carter Oosterhouse. Starting March 2, visit LMCU.org for entries, rules and details, or stop by any branch location. Some restrictions apply. Enter the Lake Michigan Credit Union $25,000 Home Makeover Giveaway! Anyone can join, anyone can enter, and anyone can win!